Flying with private jets: Do you use frequent flyer programs? Frequent flyers often come to a point where asking themselves what is more worthwhile: Jet Cards or On-Demand Charter. But besides Jet Cards and On-Demand Charter there is another possibility to fly private jets: frequent flyer programs. Jet Cards are considered an attractive possibility to combine the flexibility of charter flights with the guaranteed availability as well as financial benefits. It’s often advertised, that a single flight hour is cheaper because you book and pay a specific amount of hours in advance. The advantages of Jet Cards seem to be obvious. However, the fine print of the contract is important. Check the conditions of the Jet Card very closely– as in direct comparison On Demand Charter might be cheaper and more flexible than Jet Cards. The benefits of On Demand Charter are: high flexibility and a maximum of efficiency. Once a flight is pending, it is booked and paid for. Thus, the booking is always demand-driven – even when it comes to the type of aircraft. When flying with more than one person, the jet coming into question might be another one then when flying alone. 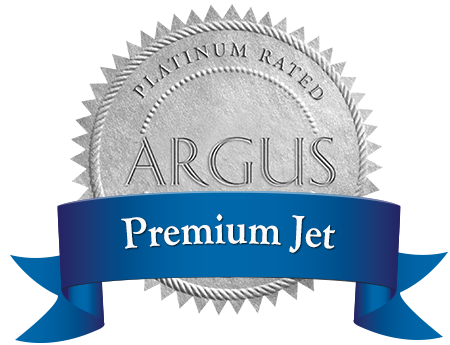 With On Demand Charter, you always have the option of just booking the jet that suits your needs best. As with a jet card the hour rates in the frequent flyer program are bundled in packages. With each unit the price of the single flight hour diminishes. Thus, over the year you profit by getting increasingly favorable prices. Based on your information about how often you want to book a private jet, to which destinations and with how many people you are flying, the aircraft type is determined. Should the contracted aircraft not be available for a certain flight, the charter provider will endeavor to provide a suitable replacement aircraft. Although the cost of the replacement aircraft will fall outside of the agreement pricing structure, are normally charged to the pre-booked flight hours. The amount for the booked flight hours are paid upfront, so when booking a flight you save time as well as hassle. The flight hours are simply deducted from your pre-booked quota. As a matter of course, any balance at the end of the contract period will immediately be restituted to the charter customer. What is more worthwhile – On Demand Charter or Jet Cards? Instead of asking this question you can combine the advantages of both – with frequent flyer programs offered by charter provider. You get high flexibility and good predictability as well as maximum of efficiency and financially attractive prices. If you plan booking a private jet regularly and are not satisfied with the existing possibilities don’t hesitate to contact us. We are looking forward to advise you which solution is best for you.